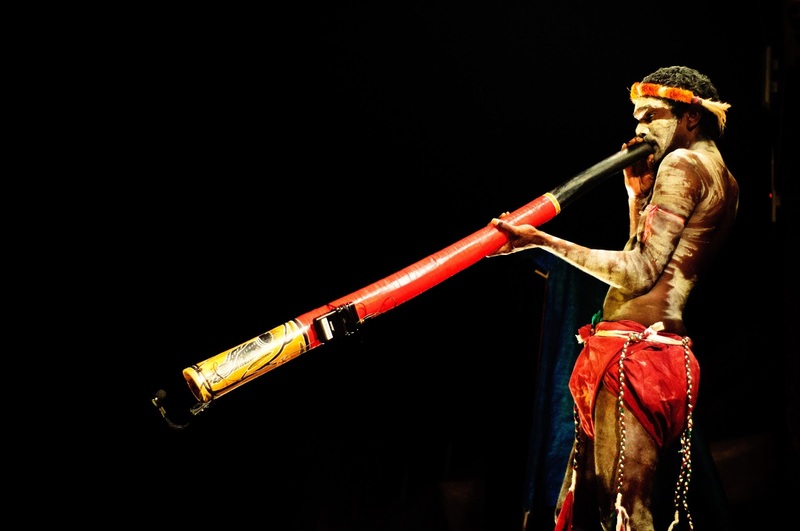 Lexicolatry: D'you Mind if I Didgeridoo? According to Wikipedia, didgeridoos are classified by musicologists as being a brass aerophone instrument in the same camp as kazoos and probably vuvuzelas as well although 'brass aerophone' does seem a somewhat counter-intuitive classification as it's made of wood, innit? I would've thought 'bass aerophone' would've made more sense but who am I to argue with the mighty Wikipedia and the musicologists and I'm not at all still harbouring a grudge at having been forced to attended piano lessons as a child! Just looking at the word, 'didgeridoo' screams onomatopoeic and it's render in other languages based on its imitative sound borrowed from English eg. (Polish) dydżerydu (Welsh) dijeridŵ etc. However, Wikipedia does suggest a rival explanation, that didgeridoo is a corruption of the Irish Gaelic 'dúdaire dubh' or 'dúidire dúth'? To me this sounds pretty fanciful as didgeridoo in Irish is already 'didiridiú' and it seems like a bit of a forced connection to associate 'didgeridoo' with the Irish word 'dúdaire' which can either mean: long-necked person; hummer or crooner according to context?